Dr. Seuss tackled a lot of issues in his time, from environmentalism in The Lorax to WWII in Yertle The Turtle, but even he would balk at the issues surrounding world-renowned aquatic attraction SeaWorld. The theme park has garnered significant attention— all of it negative, following the expose-documentary Blackfish. The film, coming in the wake of a trainer’s death, has sparked international censure on the theme park’s attractions and focused heavily on the health and husbandry of Orca whales in an entertainment setting. 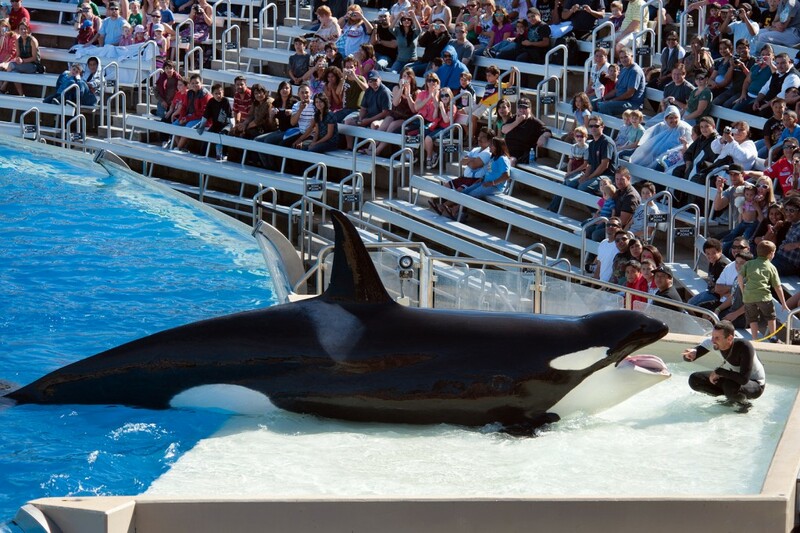 Following a substantial public relations backlash and a substantial OSHA review of the park’s policies, SeaWorld is fighting back, alleging foul play on the part of the Occupational Health and Safety Administration inspector. OSHA inspector Lara Padgett has been accused of outright cronyism: SeaWorld alleges that not only did the inspector collaborate in the production of Blackfish, but holds a personal bias against SeaWorld parks and stole classified trade secrets. Of course, the Occupational Health and Safety Administration had every right to be concerned: Dawn Brancheau, the SeaWorld trainer killed, was the third death attributed to the 22-foot long Orca named Tilikum. Putting the “killer” in “Killer Whale,” Tilikum participated (alongside two other Orcas) in dragging a trainer underwater and drowning her in 1991. Eight years later, in 1999, Tilikum struck again. A 27-year-old man was found dead in the Orca’s tank, having snuck into the park at night apparently to swim with Tilikum— classifying the man as judgmentally impaired. OSHA cited that the prior knowledge that SeaWorld had of these deaths made the 2010 incident an “avoidable hazard” to the workplace, holding SeaWorld at fault— and demanding that the parks keep trainers out of the water in order to prevent further accidents. Allegations of cronyism arose after several documents surfaced showing OSHA inspector Lara Padgett seemingly in cahoots with the Blackfish production crew— pictures were taken of her socializing at screenings and premier events of the film. News outlets speculate whether these photos, in addition to Padgett’s reports on SeaWorld’s regulations, represent a conflict of interest, indicating bias against the theme park. Predictably, SeaWorld spoke out against Blackfish, calling the documentary “misleading, inaccurate, and agenda-driven,” and even putting up a “The Truth About Killer Whales” page on their website. Despite these complications, the U.S. Court of Appeals in Washington, D.C. has ruled to uphold the OSHA citations and fines, defeating the theme park’s attempts at overturning the motion. Biased inspector or not, OSHA determines what defines a safe work environment, and risking death at the hands of a 12,000 pound Orca whale does not. As a Safety professional for the past 30 years I am really torn on this issue. I have dedicated my life to making sure workers are safe and that employers do whatever is necessary to protect them. I have used the OSHA standards as a baseline and have worked with OSHA Compliance Officers many times to insure workers are as safe as possible. However when a OSHA Compliance Officer lets their own beliefs or financial gains cloud their judgment then they have crossed the line. Did that happen here? Only time will tell. I know we have not heard the last of this, and it will be played out in the courts of law and media, however we must always err on the side of safety for our employees. No matter what type of business we are in. For all your OSHA training requirements and the latest news, stay tuned to OSHA-Pros. Enroll in our courses to keep yourself up-to-date, or call 866-442-6742 for more information.